The Roberto Clemente Bridge leads Grilli and Pirates fans to PNC Park in downtown Pittsburgh. “I told the cab driver, just rolling up over the Clemente Bridge and going around the corner, I said, this is my office space,” said Pittsburgh’s new closer Jason Grilli after signing his two-year, $6.75 million contract through 2014 with the Pirates. “This is how I do my best work. There’s sometimes not enough money that can be a good tradeoff to being comfortable and to know what to expect.” Despite leaving money on the table and taking far less than the free agent market offered to stay in Pittsburgh–much to the disliking of Italian Finance Minister Vittorio Grilli, 36-year-old pitcher Jason Grilli remains a Pirate. Jason Grilli established career highs in appearances (64) and strikeouts (90) with a career-best 2.91 ERA while holding opposing hitters to a .207 batting average in 2012. However, Jason Grilli has earned the right to pitch wherever he chooses after picking up the win in Team Italia’s 10-0 shutout of Australia in the 2006 World Baseball Classic (WBC) and a save in Italy’s 6-2 upset over heavily-favored Canada in the 2009 WBC competition. It goes without saying that the sight of Jason Grilli wearing an Azzurri jersey brings more joy and glory to the near-bankrupt European nation than any Italian politician could ever produce. Jason Grilli pitching for Team Italia in the 2006 WBC. 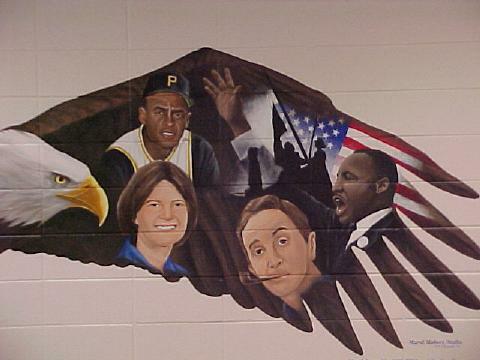 Yet, politics somehow infiltrated into Italian baseball during the 1996 Olympics. After being invited by the the Italian Baseball Federation to join the country’s Olympic team while playing college ball at Seton Hall, Grilli stood proud and was honored with a parade in his hometown of Syracuse, New York. When joining the team with another Italian American pitcher, they did not receive a warm reception. The other players on the Italian squad that qualified for the Olympics without the two imports threatened a boycott. Grilli said. “The good part of it was I got to see Italy, but the worst part of it was it was a once-in-a-lifetime opportunity and I didn’t get to play.” Grilli traces his family heritage roots to Florence and Naples. He said, “I’m 75 percent Italian. My last name is every bit as Italian as you can get. The name on the front of the jersey is always more important than the name on the back, but in this case, the two go hand-in-hand. by Team Italia Coach, 12-time MLB All-Star and former Dodger catcher Mike Piazza. Grilli and Team Italia stand at attention during the playing of the Italian National Anthem before being eliminated by Venezuela in the 2009 World Baseball Classic at Rogers Centre. Team Italia Major Leaguers Jason Grilli, Alex Liddi and Francisco Cervelli celebrate after Grill held host Canada scoreless for three innings and picked up the save at the 2009 World Baseball Classic in Toronto. Selected by the San Francisco Giants in the first round of the 1997 First-Year Player Draft (fourth pick overall), Grilli made his MLB debut with the Florida Marlins in 2000 and has made 330 career appearances during his 10 seasons in the big leagues. The Pirates signed Grilli as a free agent on July 21, 2011, and he has posted a 2.76 ERA with 127 strikeouts in 92 appearances over the last two seasons. He hinted at comfort and a heightened sense of excitement for Pittsburgh’s resurgence to Clemente-era dominance as top reasons for re-signing. “I’ve been on 10 different teams,” Grilli said. “The grass is never always greener. It’s really all the same. There’s just something fitting here. It’s just a baseball town and it bugs me as much as it bugs everybody else in this city. They want this so bad.” In 2012 Grilli limited opponents to just one run in 15 of his 64 appearances and struck out at least one hitter in 56 of the 64 games. 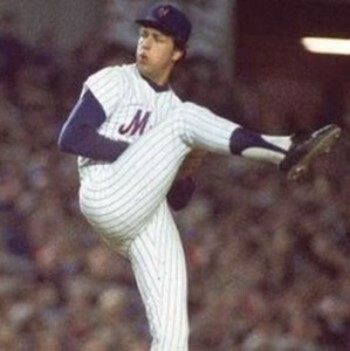 He set a franchise record for relievers by striking out at least one batter in each of his first 19 appearances in 2012. Although a bull in the pen on the mound, Jason is quite the gentlemen to members of the press. 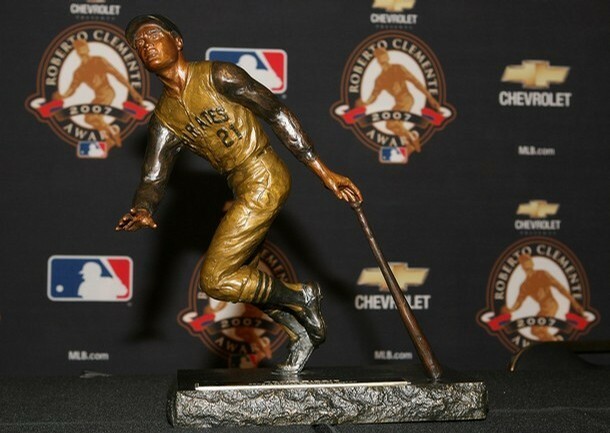 The local chapter of the Baseball Writers Association of America recently voted Grilli as the winner of the Chuck Tanner Award–an award that recognizes the player who is most cooperative with the media. Train lead singer Patrick Monahan shares a laugh with Pittsburgh Pirates’ closer Jason Grilli. Roberto Clemente statue at PNC Park in Pittsburgh. Instead of playing winter ball in Puerto Rico during the 1958-59 offseason, Roberto Clemente served in the United States Marine Corps Reserves. 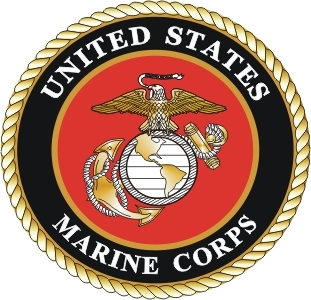 He spent six months of his military commitment at Parris Island, South Carolina, and Camp Lejeune in North Carolina. 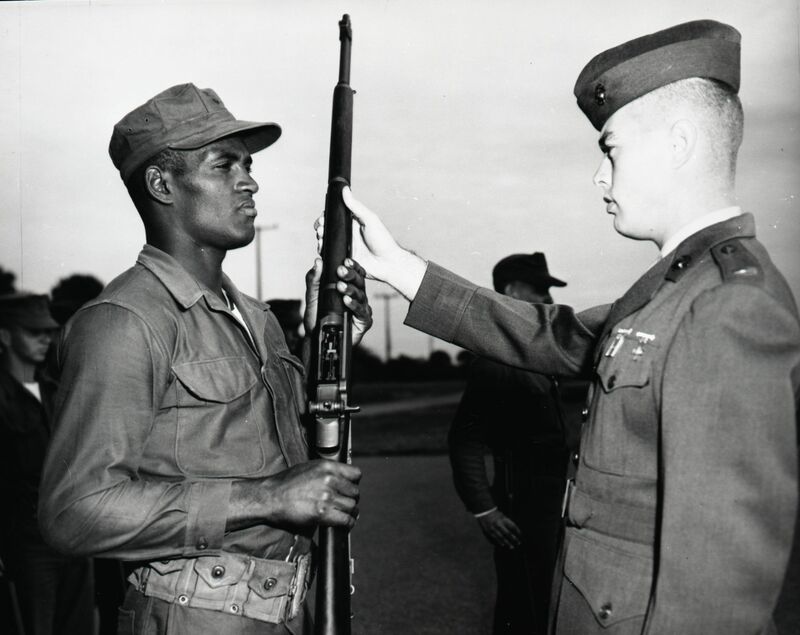 While at Parris Island, Clemente received his basic training with Platoon 346 of the 3rd Recruit Battalion. At Camp Lejeune, he was an infantryman. The rigorous training he received helped Clemente physically by gaining ten pounds of muscle and ridding him of long-time back pain. Having served until 1964, Roberto was inducted into the Marine Corps Sports Hall of Fame in 2003. Bob Terrell (right) was the training officer for U.S. Marine Corps Reserve Roberto Clemente. Bob Terrell’s “Have We Lost Our Common Sense?” is a self-published book by the former Marine lieutenant who grew close to Clemente during the the six months that the baseball legend served on active duty between the 1958 and 1959 seasons. 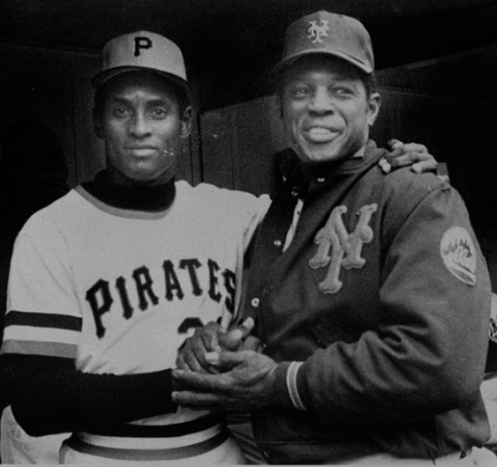 According to the author, their friendship is mentioned briefly in his book because Clemente cared about others regardless of race and always gave his best. 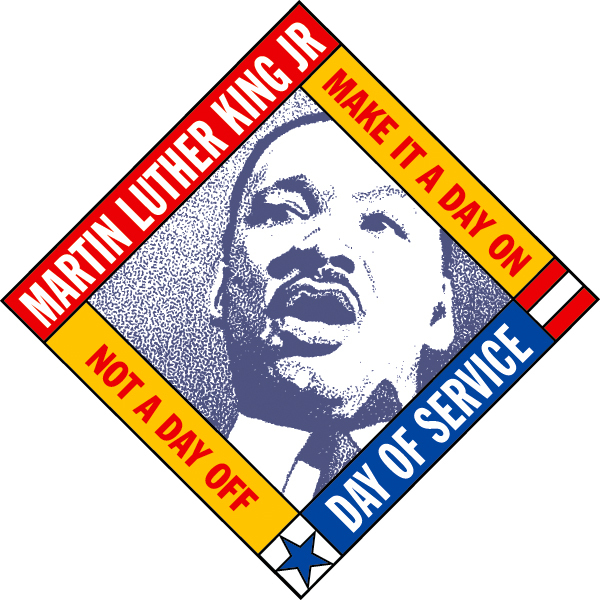 Terell said, “He made an impact on my view of civil rights philosophy. 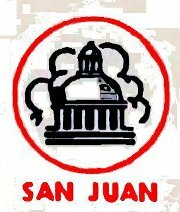 I believe we’re all God’s children, and he being an Hispanic, it opened my eyes about the fact that it’s a big world out there. As we became good friends, we kidded each other about my Kentucky drawl, and he about his broken English.” Sharpshooter-qualified Clemente impressed Terrell. “Sharpshooter” Roberto Clemente narrowly missed “Expert” ranking in the U.S. Marine Corps. Clemente shared with the former military training officer his three goals in life. 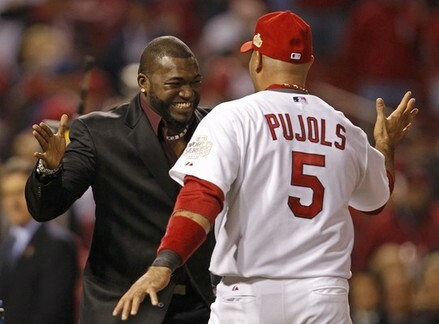 “The first goal was to be on a World Series Championship team. It’s been 40 years since Roberto Clemente joined MLB’s elite 3000 hit club on September 30, 1972 after hitting a double off Mets’ lefty Jon Matlack at Three Rivers Stadium in Pittsburgh, PA. 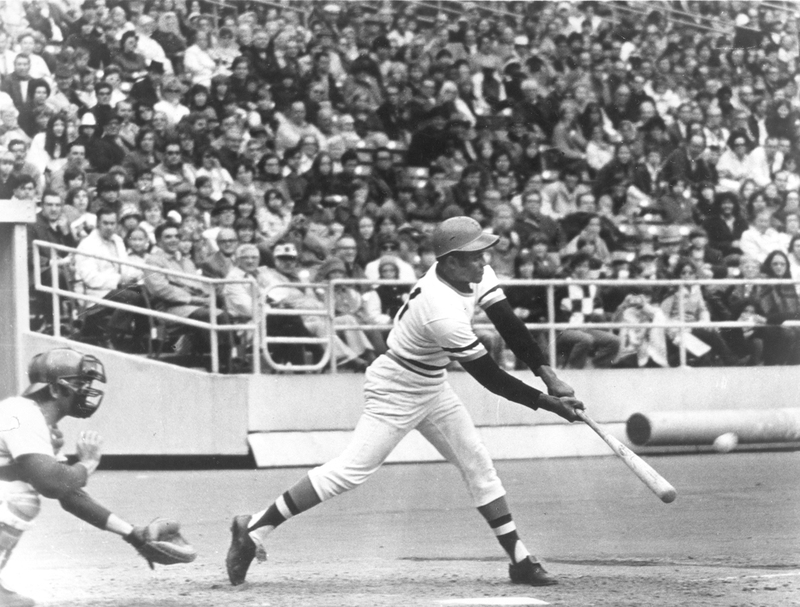 Baseball Hall of Fame Legend and Latino Hero Roberto Clemente reaches out for his 3000th hit. I asked about it. He said it had the maximum dimensions. He set it back down, and when everybody sort of moved on, I grabbed hold of it. I could barely pick it up. It led me to believe how strong this guy really was.” Clemente’s strength was tested when Matlack faced “The Great One” six times prior to their final reunion in the fourth inning on September 30, 1972. Clemente was hitless off him with one walk in previous matchups. Matlack’s strategy this at-bat was to avoid a mistake on the inner half, while hoping Clemente would take a quality strike on the outside corner. On a 2-2 pitch, the lefty spun a curveball on the outside. 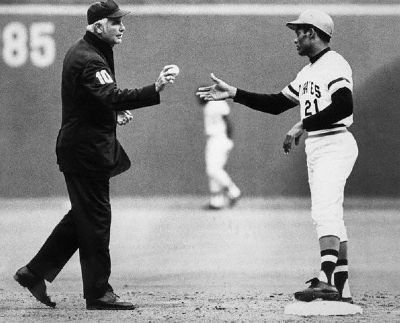 Umpire Doug Harvey hands Roberto Clemente the game ball after he doubled off the Mets’ Jon Matlack for his 3,000th career hit on September 30, 1972. I was a little upset, because I realized this thing’s not going to make the strike zone. But he took that long stride, kept himself back and pulled it off the left-center-field wall for a double.” Matlack did not recognize what had happened until the second-base umpire, Doug Harvey, presented the ball to Clemente. Jim Fregosi, the Mets’ shortstop who retrieved it, remembered Clemente’s rather nonchalant reaction. He raised his helmet briefly to the fans. Fregosi said, “He was pretty cool about everything he did. 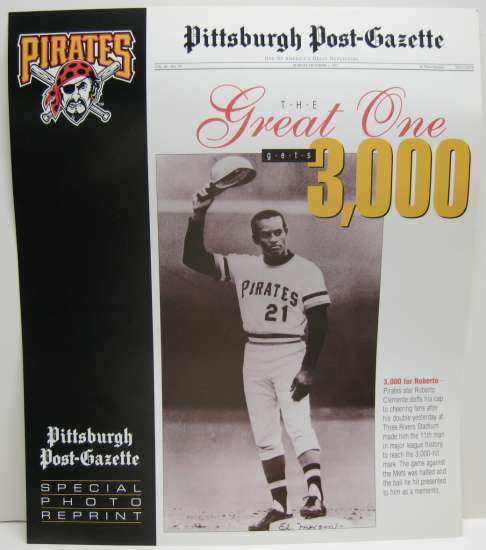 That’s how he was.” Fregosi believed Clemente understood the importance of #3000.